The worldwide pioneer in the creation of interactive entertainment, Nintendo Co., Ltd., of Kyoto, Japan, manufactures and markets hardware and software for its Nintendo Switch™ home console and Nintendo 3DS™ family of portable systems. Since 1983, when it launched the Nintendo Entertainment System™, Nintendo has sold more than 4.7 billion video games and more than 740 million hardware units globally, including the Nintendo Switch™ and Nintendo 3DS family of systems, including New Nintendo 3DS™, New Nintendo 3DS XL™, Nintendo 3DS, Nintendo 3DS XL™, Nintendo 2DS™, as well as Nintendo DS™, Nintendo DSi™, Nintendo DSi XL™, Game Boy™, Game Boy Advance™, Super NES™, Nintendo 64™, Nintendo GameCube™, Wii™ and Wii U™ systems. It has also created industry icons that have become well-known, household names such as Mario™, Donkey Kong™, Metroid™, Zelda™ and Pokémon™. A wholly owned subsidiary, Nintendo of Europe, based in Germany, was established in 1990 and serves as headquarters for Nintendo's operations in Europe. Fusajiro Yamauchi began manufacturing "Hanafuda" (flower cards) Japanese playing cards in Kyoto. Mr. Yamauchi started manufacturing the first western-style playing cards in Japan. These were originally intended for export, but the product became popular in Japan as well as the rest of the world. The company was established as an unlimited partnership, Yamauchi Nintendo & Co.
Mr. Yamauchi began a distribution company, Marufuku Co. Ltd.
Hiroshi Yamauchi took office as President and headed the manufacturing operation of Yamauchi Nintendo & Co. The name of the company was changed to Nintendo Playing Card Co. Ltd. The company's consolidated factories were dispersed in Kyoto, Japan. Nintendo Playing Card Co. Ltd. became the first to succeed in manufacturing mass-produced plastic playing cards in Japan. The company started selling cards printed with Walt Disney characters, opening up a new market in children's playing cards and resulting in a boom in the card department. The company listed stock on the second section of the Osaka Stock Exchange and on the Kyoto Stock Exchange. The company changed its name to Nintendo Co., Ltd. and started manufacturing games in addition to playing cards. Nintendo expanded and reinforced the game department and built a production plant in Uji City, a suburb of Kyoto, Japan. The stock listing was changed to the first section of the Osaka Stock Exchange. A reconstruction and enlargement of corporate headquarters was completed. The company began selling the Beam Gun series, which employed opto-electronics, introducing electronic technology into the toy industry for the first time in Japan. The company developed a laser clay shooting system which rivaled bowling as a major pastime in Japan. Nintendo developed an image-projection system and employed the 16mm film projector in amusement arcades. The company began exporting these arcade machines to America and Europe. In co-operation with Mitsubishi Electric, Nintendo developed a videogame system using an electronic video recording (EVR) player for Japan. The microprocessor was introduced into a videogame system created by Nintendo. The company developed home-use videogames in cooperation with Mitsubishi Electric: "TV Game 15" and "TV Game 6". In March, Nintendo released a simplistic arcade cocktail table game based on the board game Othello, entitled Computer Othello. On the screen, green, white and black Othello pieces were replaced with square and plus symbols, respectively. Computer Othello had no joystick, only ten coloured buttons per player. Minoru Arakawa, son-in-law of Nintendo's Japanese chief Hiroshi Yamauchi, opened Nintendo of America in New York City. Nintendo started an operations division for coin-operated games. The company created a wholly owned subsidiary, Nintendo of America Inc. in New York. 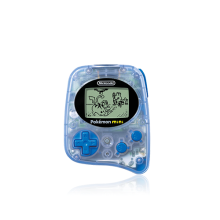 Nintendo began selling the "GAME & WATCH" product line in Japan, the first portable LCD videogames with a microprocessor. Nintendo artist Shigeru Miyamoto created the game Donkey Kong. The hero, originally called Jumpman, is a carpenter racing to save his girlfriend, Pauline, from a crazed ape. Jumpman was later renamed during the establishment of Nintendo of America's headquarters by Nintendo Co., Ltd. In honour of Jumpman's resemblance to their office landlord, Mario Segali, he was later renamed 'Mario'. Nintendo developed and distributed the coin-operated video game "Donkey Kong." This video game quickly became the hottest-selling individual coin-operated machine in the business. The company built a new plant in Uji City to increase production capacity and to allow for business expansion. In July, Nintendo listed stock on the first section of the Tokyo Stock Exchange and started work on the home videogame console "Family Computer" (Famicom), employing a custom CPU (Custom Processing Unit) and PPU (Picture Processing Unit). Nintendo developed and started selling the unique, twin-screen interactive coin-operated videogame "VS. System". 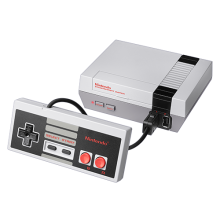 At the same time, the company launched the Famicom system in Japan, later renamed Nintendo Entertainment System (NES) when it launched worldwide. Stellar software titles were developed one after another, from Excitebike, Super Mario Bros. and Metroid to The Legend of Zelda and Punch-Out! From these titles, it was Super Mario Bros. that quickly became a smash hit around the world. Studies at the time showed that children were as or more familiar with Mario as they were with Mickey Mouse and Bugs Bunny. 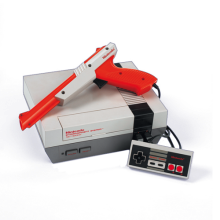 The Nintendo Entertainment System was launched in Europe and instantly became a major hit and a must-have in homes across the continent. Nintendo developed and began selling the "Family Computer Disk Drive System" in Japan to expand the functions of the Famicom. Also in Japan, the company began installation of the "Disk Writer" to rewrite game software. Nintendo sponsored a Famicom "Golf Tournament" in Japan as a communications test using the public telephone network and Disk Faxes to aid in building a Famicom network. The company researched and developed the Hands Free controller, making the NES accessible to even more Nintendo fans. The game library for the NES grew to 65 titles, helping to broaden the system's appeal to include more adults. The Game Boy, the first portable, handheld game system with interchangeable game cartridges, is introduced in Japan along with Tetris. 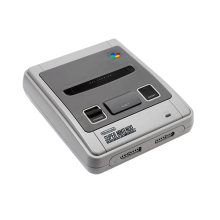 Japan entered the 16-bit market by releasing the Super Famicom in the autumn. Game Boy was launched in Europe and established what would become an astronomical worldwide installed base for the Nintendo handheld console. In June, Nintendo of Europe was set up as a wholly owned subsidiary of Nintendo, based in Grossostheim, Germany. The Super Nintendo Entertainment System (Super Famicom) was launched in Europe in June. The console went on to sell more than 46 million units worldwide. Japan saw the release of the Super NES Super Scope and Mario Paint with the Super NES Mouse Accessory. The long-awaited Zelda sequel, The Legend of Zelda: A Link to the Past, also arrived for the Super NES. The Super FX Chip was announced: a breakthrough technology for home video systems. The first game using the Super FX Chip, Star Wing, was released in April. Nintendo of the Netherlands was established and Nintendo products, which had previously been distributed and managed by Bandai in the Netherlands, were handed over. Other subsidiaries were also established in France, UK, Spain, Belgium and Australia. The Super Game Boy accessory was released, expanding the library of games that could now be played on the Super NES. Nintendo helped pioneer the development and implementation of an industry-wide rating system in the United States. This year also saw the introduction of a game that would set a new standard in video game excellence - using proprietary Advanced Computer Modeling (ACM) graphics, Donkey Kong Country took the US holiday season by storm. The Nintendo Gateway was launched, putting Super Nintendo units and a selection of SNES games into commercial planes for the enjoyment of passengers. Thanks to the success of Donkey Kong Country, ACM graphics were introduced to the Game Boy system by way of Donkey Kong Land. Along with this boost to the Game Boy system line, Nintendo also introduced the Play It Loud! series of Game Boy systems with colour casings. ACM graphics made another appearance on the Super NES with the release of the arcade smash-hit, Killer Instinct. In Japan, Nintendo began selling the SatellaView adapter for Super Famicom, enabling the system to receive digital data from a broadcast satellite. At the same time, Nintendo introduced a 32-bit Virtual Immersion system known as the Virtual Boy. Nintendo enhanced the quality of ACM graphics for the upcoming release of Donkey Kong Country 2: Diddy's Kong Quest and released Cruis'n USA and Killer Instinct in arcades. Nintendo produced its one billionth game cartridge. Nintendo 64 launched in Japan on 23 June. Thousands lined up to be the first to experience the world's first 64-bit home videogame system. More than 500,000 systems were sold on the first day. Another system launch occurred in early September when Nintendo introduced the Game Boy Pocket, a sleeker, 30-percent-smaller version of the world's most popular handheld. Super Mario 64 was proclaimed by many as "the greatest video game of all time." Meanwhile, the Super NES saw the release of the third game in the continuing Donkey Kong series, Donkey Kong Country 3: Dixie Kong's Double Trouble. Pokémon, a new gaming phenomenon on the Game Boy, was released in Japan on 26 February. In March, Nintendo 64 launched in Europe and sold 2.3 million in the first year. Nintendo introduced the Rumble Pak, which enabled players to feel the realistic vibrations contained in the game. Nintendo introduced Game Boy Color and the innovative devices Game Boy Camera and Printer, bringing new life to the longest-running hit in the history of interactive entertainment. 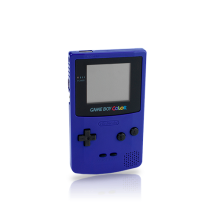 Game Boy Color systems were cased in two brand-new colours: purple and clear purple. The highly anticipated The Legend of Zelda: Ocarina of Time for Nintendo 64 was released, setting new standards and breaking pre-order records for any videogame to date. Nintendo released Pokémon throughout Europe on 8 October. Nintendo expanded the library of high-quality software with innovative titles such as Pokémon Snap and Pokémon Pinball, the latter including a built-in rumble feature. Hits such as Mario Golf, Donkey Kong 64 and Perfect Dark were launched. Also, during the summer, the range of Game Boy Color coloured casings expanded with red, green, yellow and blue added to the collection. Nintendo first announced plans for a new system utilising an IBM Gekko Processor and Matsushita's Unique DVD Technology. The Nintendo Game Boy became the most popular selling console ever as sales surpassed 100 million. Meanwhile, the Pokémon franchise continued to be a worldwide phenomenon, and Nintendo celebrated its success with a limited edition release of Pikachu Nintendo 64. 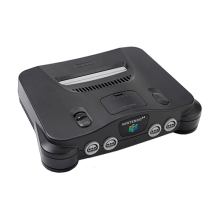 The N64 expanded its library of classics with hits such as The Legend of Zelda: Majora's Mask, Ridge Racer 64 and Mario Tennis. The Nintendo of the Netherlands office became responsible for both Belgium and the Netherlands market and changed its name to Nintendo Benelux. Meanwhile, the headquarters of Nintendo Co., Ltd were relocated to Minami-ward of Kyoto, Japan. Nintendo UK was established in January, and a new office opened in Slough, Berkshire, UK. Pokémon Gold and Silver for Game Boy Color were simultaneously and successfully launched in Europe on 6 April, 2001. Over its launch weekend, one million units of Pokémon Gold and Silver were sold, making it the fastest selling game ever in Europe. Game Boy Advance launched on 21 March in Japan, 11 June in US and 22 June across Europe. It set the mark as the fastest selling console ever with 500,000 units being sold within the first week in Europe. Game Boy Advance launch successes included first-party favourites such as Super Mario Advance and F-Zero: Maximum Velocity. 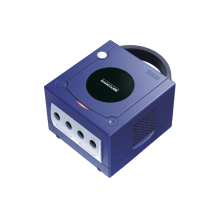 Nintendo GameCube was launched on 14 September, 2001 in Japan and 18 November, 2001 in America. In all, 2.7 million units were shipped by December, of which 95% sold through. The sales success of Luigi's Mansion and Super Smash Bros. Melee marked both popular games as flagship titles for the console. Game Boy Advance e-Reader hardware launched in Japan on 1 December and brought a new meaning to portable gameplay. Different game information stored on e-Reader cards could be swiped through the e-Reader and transferred onto the Game Boy Advance. Nintendo Italia was established on 2 January and opened an office in Milan. Game Boy Advance - now available in new Black and Platinum editions - smashed the 5 million hardware units barrier across Europe. 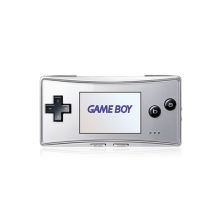 Pokémon mini, the world's smallest console, was launched on 15 March across Europe with four titles, including Pokémon mini Party and Pokémon mini Pinball. Nintendo, Sega and Namco announced joint development of 3D computer graphic board "TRIFORCE" on 22 February for next generation arcade machines. Nintendo GameCube launched in Europe on 3 May with 1 million units, a recommended retail price of €199 and 20 launch titles. Since that time, it's been joined on the shelves by spectacular new Mario adventure Super Mario Sunshine, revolutionary wireless controller Nintendo WaveBird, and over 100 titles of every genre and description. At the end of May, after 52 years at the helm of the company, Nintendo Co., Ltd, President Hiroshi Yamauchi announced his retirement, naming Satoru Iwata as his successor. By the end of 2002, more than 25 million Game Boy Advance units were in homes around the world. 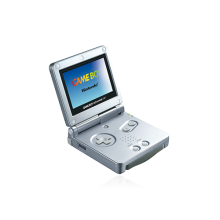 In March, the Game Boy Advance SP was released, building on the massive success of the Game Boy Advance by adding a smart clam-shell design. The new system was an instant success. March also saw the release of the stunning Metroid Prime, hailed by fans and critics alike as one of the best games for Nintendo GameCube. In May, to celebrate the first birthday of Nintendo GameCube, the eagerly awaited The Legend of Zelda: The Wind Waker arrived, bringing one of Nintendo's flagship characters to the system in striking, cel-shaded style. 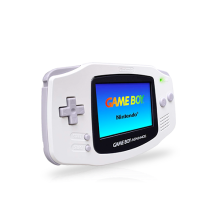 In June, the release of the Game Boy Player for Nintendo GameCube meant that gamers could experience Game Boy and Game Boy Advance titles on their television sets. With the release of Pokémon Ruby and Sapphire in July, the Pokémon phenomenon erupted for the first time on Game Boy Advance. October saw the return of a well-loved franchise in the form of Mario Kart: Double Dash!! for Nintendo GameCube. 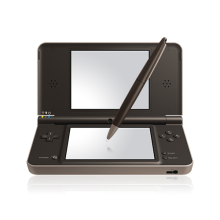 January saw the worldwide announcement of Nintendo's ‘mystery system’: the Nintendo DS, a dual-screened handheld with Touch Screen technology. In the autumn, Pokémon FireRed and LeafGreen are launched for Game Boy Advance, continuing the success of the Pokémon phenomenon. 2004 also saw the arrival of many different special editions of the Game Boy Advance: Tribal Edition (June), Classic NES Edition (July), Limited Pink Edition (October), Zelda Limited Edition (November) and Mario Limited Edition (November) were all released across Europe. Toward the end of the year, the Nintendo DS was released in the US and Japan to immediate success. The new dual-screened system also featured wireless multiplayer, Touch Screen technology and backward compatibility with Game Boy Advance titles. 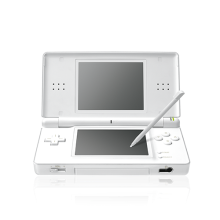 On 11 March, the Nintendo DS was launched in Europe to immediate success. By June the system had sold a million units throughout Europe. Meanwhile, Nintendo introduced the Game Boy Micro. Measuring just 4 inches wide by 2 inches tall, the ultra-stylish Game Boy Micro featured a backlit screen. In 2006, Nintendo DS rose to the top of the gaming world as the most popular portable console, thanks to games suitable for everyone. Players all over Europe made Animal Crossing: Wild World, New Super Mario Bros and Metroid Prime Hunters best-sellers. Nintendogs ushered in the Touch! Generations brand of games, a range of titles that let people play like never before. Dr Kawashima's Brain Training - the top Touch! Generations title - became a huge hit even among people who never played before. 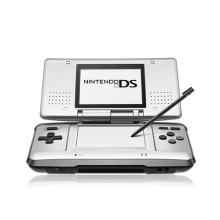 Nintendo DS renewed its look in June with the Nintendo DS Lite, which features brighter screens along with its slim design. 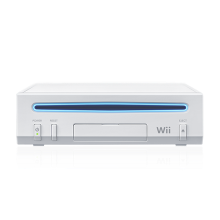 The year ended with the launch of Wii. The new home console with its innovative control system found an audience with both Nintendo fans and those who don't traditionally play videogames. The console's success is bolstered by titles such as Wii Sports and the newest episode in the Zelda series, The Legend of Zelda: Twilight Princess. Prior to the launch of Wii, Nintendo President Satoru Iwata conducted a series of internal interviews with Nintendo staff as well as external developers providing an in-depth look behind the scenes of the company and the process of bringing new hardware and software to market. The “Iwata Asks” series of interviews would be continued in years to come, often candidly revealing information about the inner workings of the company, both past and present. 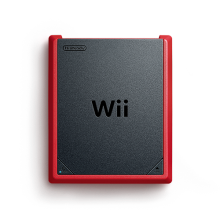 With Wii’s emergence at the end of 2006, the stage was set in 2007 for the arrival of a range of titles that took advantage of the system’s unique capabilities and threw the door wide open to a whole new gaming audience. Games like WarioWare: Smooth Moves, Endless Ocean and Big Brain Academy for Wii invited everyone to dive into the fun regardless of previous experience, while the arrival of Super Mario Galaxy and Metroid Prime 3: Corruption brought cherished Nintendo franchises back into being with the addition of new features only possible on Wii. Fans of classic games rejoiced in September when the first Hanabi Festival was celebrated on Virtual Console. Millions of European Wii players could get their hands on titles like Super Mario Bros.: The Lost Levels for the very first time, as the Hanabi Festival saw the launch of gaming classics never before released in Europe. The Mii Contest Channel launched on Wii in November, allowing players to enter Mii characters of their own creation in themed competitions. The Channel resides in an ongoing tradition of providing players with tools to allow them to express their creativity and get more actively involved with Nintendo products, further highlighting the shift from passive playing to active involvement. On Nintendo DS, Sight Training: Enjoy Exercising and Relaxing Your Eyes as well as More Brain Training from Dr Kawashima expanded the Touch! Generations range of software and continued to attract new users, a feat also achieved by the newest instalment in the Legend of Zelda series, Phantom Hourglass - which invited players to control all the exploration and action on the Nintendo DS Touch Screen. 6 December saw the launch of the revamped website for Nintendo of Europe. From the purple colours of the Nintendo GameCube and Game Boy Advance, the new website strives to convey the look and feel of Nintendo DS and Wii on the worldwide web. Link’s Crossbow Training arrived alongside the Wii Zapper also in December, expanding the ways for everyone to play with Wii and bringing the curtain down on a year which saw a vast new audience experiencing games for the first time via Nintendo systems. Building on the growing number of people discovering videogames for the first time through Wii and Nintendo DS whilst continuing to cater to long-time Nintendo fans, 2008 saw the release of more software that quickly scored a direct hit with public affections. In April, Wii Fit and the Wii Balance Board took Europe by storm, inviting whole families to have fun at home whilst becoming more aware of their personal fitness levels. Later in the year, the launch of Mario Kart Wii and the Wii Wheel accessory brought players of all ages and experience levels together for classic Mario Kart action that was straightforward for beginners and engrossing for experts. Continuing the trend on Nintendo DS, Professor Kageyama’s Maths Training and ‘Cooking Guide: Can’t decide what to eat?’ expanded on the traditional uses for games systems by turning calculation into a fun diversion and offering users a helping hand in the kitchen, while the arrival of Professor Layton and the Curious Village had players young and old scratching their heads for solutions to problematic puzzles. The month of May saw the launch of WiiWare, a game download service that offered Wii owners access to a host of affordable and varied new titles that could be purchased from the comfort of their sofas via the Wii Shop Channel. Another new service, the Nintendo Channel, was also launched on Wii, providing users with access to info, news and interviews relating to upcoming titles. In June Nintendo of Europe’s website welcomed another country with the inclusion of South Africa. Towards the end of the year two more high-profile titles were released for Wii. Shigeru Miyamoto’s entry into the music game genre, Wii Music, allowed families to get together and freely experiment simulating the playing of a wide variety of music instruments. Closing the year was Animal Crossing: Let’s Go to the City which supported the Wii Speak accessory, connecting living rooms across an Internet connection, allowing players to talk to each other as they visited each other’s towns in the game. In March 2009 Nintendo Iberica S.A. opened a branch office in Lisbon to provide marketing and commercial services of Nintendo products in Portugal. During the same month Nintendo also announced it had shipped its 100 millionth Nintendo DS system worldwide. A month later the Nintendo DS range grew with the arrival of Nintendo DSi in Europe. 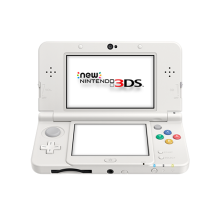 The new handheld system included new camera and sound features that took the experience of using DS to the next level and made it an indispensable asset for those who picked one up. Another major new feature was the introduction of Nintendo DSiWare, allowing players to download an ever-growing range of games and applications to give their handheld an even more personal touch. Notable releases that gave players a platform to let their creative juices flow were Mario vs. Donkey Kong: Minis March Again that allowed players to create and share their own levels, while the free Flipnote Studio paved the way for an entire community of budding animators to share their handmade flipnotes with the world. 2009 also saw the release of the eagerly awaited Pokémon Platinum Version as well as Professor Layton and Pandora’s Box, while the active play phenomenon was extended to Nintendo DS with the release of ‘Walk With Me: Do You Know Your Walking Routine?’ which included two Activity Meters allowing players to keep track of their walking routines in a playful way. In the Summer things really heated up with the launch of Wii Sports Resort, accompanied by the Wii MotionPlus accessory for greatly improved motion controls. Set on the sunny Wuhu Island resort players could experience activities ranging from swordplay to archery in an unprecedented way thanks to Wii MotionPlus. Later in the year the game also became part of a limited edition Wii Sports Resort Pak featuring an all-black version of the Wii hardware. Wii Fit returned in a new shape, with Wii Fit Plus offering users more ways to monitor their fitness. The addition of a Calorie Check tool and the option of customising workouts around a player’s own personal needs ensured it was even more convenient for everyone to find their feet with the hit fitness software. November saw the eagerly awaited launch of New Super Mario Bros. Wii, which offered the first four-player experience in a Mario adventure, letting experienced players help newcomers along as they stormed Bowser’s castle together and catering for the continued expansion of the gaming audience as well as long-time Mario fans. It was also the first game to introduce the Super Guide feature which allowed players struggling with a particular level to let Luigi finish the level for them, thus preventing them from getting stuck before seeing the end of the game. In January Nintendo announced it would be distributing Monster Hunter Tri for Wii in Europe, as part of an ongoing effort of providing strong third party support for quality titles. With free online play and full Wii Speak support the Japanese gaming phenomenon made its first entry on a Nintendo system. February saw the launch of a limited edition Pink Nintendo DSi bundle including Nintendo presents: Style Boutique, the 2009 game that lets players experience the ins and outs of running their own fashion emporium. 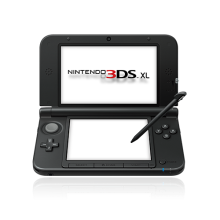 The Nintendo DS range of handheld systems grew even larger in size in March when Nintendo DSi XL went on sale in Europe. 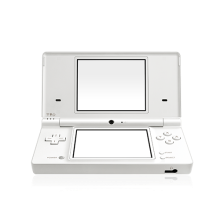 Including all the features of the original Nintendo DSi, the Nintendo DSi XL boasted larger screens, a wider viewing angle making it suitable for playing games together, as well as a larger, more comfortable stylus and pre-installed Nintendo DSiWare games and applications. Pokémon HeartGold Version and Pokémon SoulSilver Version joined the system on shop shelves in the same month, while more bite-sized fun came in April with the release of WarioWare: Do It Yourself for the Nintendo DS family of systems. Summer gaming got off to a flying start with Super Mario Galaxy 2 on Wii. The sequel to 2007’s Super Mario Galaxy included brand new power-ups, the return of Yoshi and more gravity-based hijinks. In August, Nintendo continued to expand the gaming population with the release of Art Academy: Learn Painting and Drawing Techniques with Step-by-Step Training. Using the Nintendo DS Touch Screen, even people who had never considered themselves artistic before could learn to create impressive works of art. On Wii, a Nintendo heroine returned in September when METROID: Other M launched across Europe. September saw another gaming icon reach a milestone, as Nintendo commenced celebrations for Mario’s 25th anniversary. Marking a quarter of a century since the release of Super Mario Bros. in Japan, the campaign included several limited edition hardware bundles released to celebrate Mario’s career. The celebrations culminated in the release of Super Mario All-Stars 25th Anniversary Edition on Wii in December. Mario was joined on shop shelves by his old adversary with the release of Donkey Kong Country Returns on Wii. 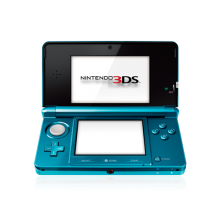 Early 2011 saw the release of Nintendo 3DS, which allows users to see stereoscopic 3D visuals without the need for special glasses. The system launched with a varied software line-up, including Nintendo-developed games Pilotwings Resort and nintendogs + cats, and its catalogue expanded in May with Steel Diver and Dead or Alive Dimensions, distributed and marketed in Europe by Nintendo. Meanwhile, Wii owners were not left in the cold with the releases of Mario Sports Mix and Kirby’s Epic Yarn in February. Nintendo continued to enhance the offering of Nintendo 3DS throughout the year, giving users access to innovative and unique games exclusive to Nintendo 3DS, Virtual Console classics, and over 1,000 DSiWare games with the launch of Nintendo eShop in June. The same month also gave Nintendo 3DS owners the opportunity to enjoy a fresh take on an old favourite in The Legend of Zelda: Ocarina of Time 3D, including remastered graphics and new features such as Boss Challenge and motion controls. Wii owners were treated to one of the system’s biggest games in August with the release of Xenoblade Chronicles. This expansive role-playing game featured an innovative combat system, a cast of unique characters and a rich, compelling game world for players to explore. Nintendo DS owners could embark on a unique journey of their own in Inazuma Eleven, a blend of RPG and football from LEVEL-5, developer of the Professor Layton games. Nintendo commemorated 25 years of The Legend of Zelda in 2011, with a range of activities throughout the year. In September, Nintendo made The Legend of Zelda: Four Swords Anniversary Edition on DSiWare available for free for a limited time, and later in the year London played host to a special one-off concert, The Legend of Zelda 25th Anniversary Symphony Concert Tour. The anniversary celebrations culminated with the November launch of The Legend of Zelda: Skyward Sword for Wii, alongside a special limited edition gold-coloured Wii Remote Plus. November and December truly offered experiences for everyone: Mario took to Nintendo 3DS to discover new worlds in SUPER MARIO 3D LAND and race off the start line in Mario Kart 7, while Professor Layton and the Spectre’s Call, Kirby’s Adventure Wii, and Pullblox completed a year packed with varied and innovative gaming. 2012 was a landmark year for Nintendo, seeing the launch of a new home console, Wii U, and also a new handheld system, Nintendo 3DS XL. The Last Story, an epic RPG from the creator of Final Fantasy, launched on Wii in February. The first European Nintendo Direct was also broadcast, connecting Nintendo with its fans to deliver news directly. In March, Mario Party 9 and PokéPark 2: Wonders Beyond entertained Wii owners, while Pit burst back into the limelight on Nintendo 3DS in Kid Icarus: Uprising, the first title in the Kid Icarus series in over 20 years. 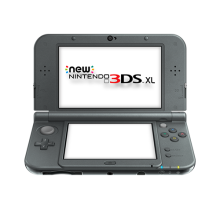 Nintendo 3DS XL, a new handheld system featuring the largest screens yet found in a Nintendo portable console, was released in July. The summer also saw varied titles launch in succession: the zany music action of Beat the Beat: Rhythm Paradise on Wii, the strategic Pokémon Conquest, and New Art Academy, which continued to teach players a range of artistic skills. August rounded out with the launch of New Super Mario Bros. 2, which challenged players to reach a whopping one million gold coins. October saw the launch of some fan-favourite portable offerings as Pokémon White Version 2 and Pokémon Black Version 2 arrived on Nintendo DS, while the puzzle professor returned in Professor Layton and the Miracle Mask on Nintendo 3DS. 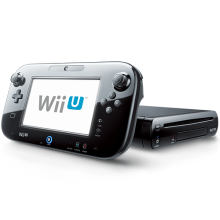 November 2012 heralded the launch of a new Nintendo home console: Wii U. Nintendo’s first high definition home console boasted dual screen gaming thanks to the Wii U GamePad’s built-in screen, which opened up new gameplay possibilities and ways to interact in the home. Wii U was backed up by a strong software line-up at launch, including New Super Mario Bros. U and Nintendo Land, introducing new ways for friends and families to play together. It was another year of innovative software in 2013 as Nintendo established strong software line-ups across both Nintendo 3DS and Wii U. In March, Luigi’s Mansion 2, a sequel to the original Nintendo GameCube launch title, was launched for Nintendo 3DS as part of The Year of Luigi, celebrating 30 years of Mario’s younger brother. Nintendo also worked with TT Games to release two exclusive LEGO titles: LEGO® CITY Undercover on Wii U, and prequel LEGO® CITY Undercover: The Chase Begins on Nintendo 3DS. In April, strategy came to Nintendo 3DS in the form of Fire Emblem: Awakening, and the portable console also received a double dose of Donkey Kong in May as Donkey Kong Country Returns 3D launched alongside Nintendo eShop title Mario and Donkey Kong: Minis on the Move. Animal Crossing: New Leaf arrived on Nintendo 3DS in June, giving players the chance to live life at their own pace as mayor of a town populated by quirky animals, while The Year of Luigi continued in full force in July with the release of Mario & Luigi: Dream Team Bros. on Nintendo 3DS and New Super Luigi U on Wii U. The eagerly-anticipated Pikmin 3, the first wholly original entry in the real-time strategy series in nearly ten years, also arrived on Wii U in July. In August, Nintendo released Wii U mass-action game The Wonderful 101 in collaboration with PlatinumGames Inc., and October brought experiences both new and nostalgic. On Wii U, The Legend of Zelda: The Wind Waker HD was released, a high definition remaster of the 2003 Nintendo GameCube classic. This was followed up by an exclusive title in the Sonic the Hedgehog series, Sonic Lost World, on Wii U and Nintendo 3DS, while Wii Party U and Wii Karaoke U by JOYSOUND brought a party atmosphere to round off October. 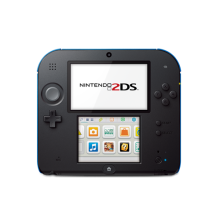 Nintendo 2DS, a handheld with the ability to play all Nintendo 3DS titles in 2D, was introduced in October. It was accompanied by the launch of the new Pokémon titles, Pokémon X and Pokémon Y, which gave players new Pokémon and new mysteries to discover in the spectacular Kalos Region. In November, SUPER MARIO 3D WORLD, the first high definition, multiplayer 3D Mario platform game, was released on Wii U. A trio of sporty titles also arrived to warm players up in the cold winter months: Mario & Sonic at the Sochi 2014 Olympic Winter Games, Wii Fit U and Wii Sports Club. Nintendo 3DS also ended the year on a high note. In November, The Legend of Zelda: A Link Between Worlds was launched, while Nintendo released a home version of its Louvre Museum audio guide on Nintendo eShop, named Nintendo 3DS Guide: Louvre. Finally, the year was topped off with the release of Bravely Default, a new Square Enix RPG for Nintendo 3DS. Nintendo continued to provide unique experiences to players around the world in 2014, launching engaging software throughout the year to cater for players of all tastes and skill levels. Mario Party: Island Tour’s January launch put a portable party in the hands of Nintendo 3DS players, while February showcased the breadth of Nintendo’s software offerings, with titles like Steel Diver: Sub Wars, Inazuma Eleven 3: Team Ogre Attacks! and the return of a gaming icon in Donkey Kong Country: Tropical Freeze. More of Nintendo’s big names continued to come out in force, with Yoshi’s New Island, Professor Layton vs. Phoenix Wright: Ace Attorney, Mario Golf: World Tour, Kirby: Triple Deluxe and Kid Icarus: Uprising all releasing in the first half of the year. May saw the highly anticipated release of Mario Kart 8 on Wii U. The first high-definition entry in the popular kart racing series launched to strong review scores, and sold over 1.2 million copies worldwide in its first weekend. The release of Pullblox World offered up hundreds of brainteasers for Wii U fans over the summer, while Nintendo 3DS players explored their social, creative and artistic sides with titles like Tomodachi Life, Chibi-Robo! Let’s Go, Photo! and Pokémon Art Academy. In September, Wii U players were charging into epic battles with The Legend of Zelda characters in Hyrule Warriors, before being dazzled by the climactic action of Wii U exclusive Bayonetta 2, which released in October. Meanwhile, Nintendo 3DS owners were enjoying LEVEL-5’s stellar action RPG Fantasy Life, exploring a whole new world in Disney Magical World and settling scores in Super Smash Bros. for Nintendo 3DS, the first portable iteration of the fan-favourite fighting series. In November, Pokémon Omega Ruby and Pokémon Alpha Sapphire arrived on Nintendo 3DS to provide a fresh take on a classic adventure, while Ultimate NES Remix, new add-on content for Mario Kart 8, and the much-anticipated release of Super Smash Bros. for Wii U kept players busy long into the winter months. Even those curious creatures known as Pikmin were thrust into the spotlight to star in PIKMIN Short Movies. This trio of short animated movies could be downloaded from Nintendo eShop and enjoyed in glorious HD on Wii U or dazzling 3D on Nintendo 3DS. Finally, Nintendo rounded out 2014 with the launch of amiibo, with iconic characters such as Mario, Link, Donkey Kong and Samus available at launch. These interactive figures – and later, cards – work with select software and encompass some of Nintendo’s best loved worlds and characters. In 2015, Nintendo continued to surprise and delight fans with a strong software line-up that leveraged innovative takes on well-known franchises. Nintendo’s most iconic game series was the centre of attention throughout the year as the original Super Mario Bros. marked its 30th anniversary. As part of the celebrations, Nintendo launched the Let’s Super Mario campaign, encouraging fans to create and submit videos showing their love of Mario. For the first time ever, Toad starred in his own adventure when Captain Toad: Treasure Tracker launched on Wii U in January, while February saw the arrival of two new additions to the Nintendo 3DS family of systems: New Nintendo 3DS and New Nintendo 3DS XL, each introducing a number of enhancements. These handhelds were accompanied by the launch of Monster Hunter 4 Ultimate and The Legend of Zelda: Majora’s Mask 3D – a full remaster of the fan-favourite Nintendo 64 game. Mario Party 10 arrived on Wii U in March, bringing with it the first wave of amiibo figures in the Super Mario Collection, and Xenoblade Chronicles 3D put a sprawling RPG adventure in players’ pockets in April, thanks to the enhanced processing power of New Nintendo 3DS and New Nintendo 3DS XL. May saw Wii U owners restoring Dream Land to its colourful best in Kirby and the Rainbow Paintbrush, then splatting ink and claiming turf in Nintendo’s colourful new title Splatoon. This fresh take on the online multiplayer shooter proved to be a massive hit, selling one million copies worldwide in its first month. Nintendo kicked off the summer period in June with the release of the utterly adorable Yoshi’s Woolly World for Wii U, which launched alongside three equally cute Yarn Yoshi amiibo. In September, Tatsumi Kimishima took office as President of Nintendo Co., Ltd. Meanwhile, Mario fans were given the chance to craft the courses of their dreams to share with others online when Super Mario Maker arrived on Wii U. By the end of the month, sales had already reached one million globally. October brought innovative takes on classic series for Nintendo 3DS with the co-operative multiplayer adventure The Legend of Zelda: Tri Force Heroes, as well as Animal Crossing: Happy Home Designer which introduced the first series of Animal Crossing amiibo cards. November served up multiplayer fun on Wii U with the release of Mario Tennis: Ultra Smash and Animal Crossing: amiibo Festival. On Nintendo 3DS, players were plugging into adventure with Chibi-Robo! Zip Lash and becoming stars of the fashion industry in Nintendo presents: New Style Boutique 2 - Fashion Forward. Nintendo then rounded out the year with two epic RPG adventures – Nintendo 3DS owners embarked on a hilariously mixed-up quest in Mario & Luigi: Paper Jam Bros., while Wii U owners dove into the massive open-world of Xenoblade Chronicles X.